I had just woken up somewhat late, tired of late night arrival of the flight. Just saw missed calls from Prof Ajit Parulekar, who is a colleague and director of Goa Institute of Management where I work a Senior Professor and Chair, Big Data Analytics. He shocked me by informing that the Pune Police reached the campus and are looking for you. He said he is rushing to the campus and would let me know the developments. I had come on an official meeting at 10 am and hence I had to rush for it. By the time I was through with the meeting there were spate of calls on phone which was kept on slient mode. By that time all the TV channels were flashing the news of nationwide raids on the houses of activists and intellectuals, and arrests of some of them. I called up my wife who said that our house also was opened and searched according to the TV reports. She was obviously scared and already booked the tickets for both of us at 3.45 pm. I asked her to hold on and consulted a lawyer friend who advised that the house needs to be checked by one of us for whether the police planted any object in the house with an alibi of search. He also suggested that a compliant needed to be filed at the Police station to that effect. As I had some worked planned at Mumbai, I asked my wife to cancel my ticket and to go to Goa. She reached Goa and took the help of a lawyer friend and filed the police complaint. Later, when I called the director and asked him how the key of the house was given in our absence, he explained that before he reached the campus the police had done everything. They met him and handed over the Panchnama, the scan of which he mailed me through his secretary. He said that he read it and there appears to be nothing in it. One of my colleagues, Prof Krishna Laddha, senior professor, who happened to meet the police, narrated whatever he knew. The police had threatened the security guard to get the key and asked him to open the door. Prof Krishna asked them that they should wait for the director to come before they opened the door. They rudely retorted him that the person accompanying them has the authority to issue a search warrant. He informed that the house was opened by the security person. One or two police officials along with security person and a videographer entered the house and came out within four to five minutes and asked the security person to lock the door. There being important meeting in the office, Prof Laddha left and did not know whether the house was opened again. I spoke with Prof Vishnu, who stayed opposite my house. He narrated similar things but said that the eco clean lady saw some plastic box being taken away from the house. My wife, after reaching Goa spoke with security and got the horrific description of the entire process. In the morning hours, a police van accompanied by two police vehicles gate crashed into the campus. They took away all the cell phones of security personnel and disconnected landlines. They enquired about me and picked up one security person from the main gate for showing the house. At the second gate they repeated the same, taking away all cell phones and disconnecting the phone line, and came over to our house. They threatened the security guard to get the keys. He brought the duplicate keys and the process of opening the house took place as described above. The entire process is conducted as though I was a dreaded terrorist or a criminal. The police could have enquired with me whatever they wanted to, either by sending a police official or calling me to the Police Station. But the entire intention is to create an atmosphere of terror and project that I had already done some dreaded crime. All my information is in public domain. I have been a meritorious student all through, passing through prestigious institutes of the country including hallowed Indian Institute of management (IIM) Ahmedabad. Did my doctorate in Cybernetics and have worked my entire career in corporate sector, rising to be the Executive Director of Bharat Petroleum Corporation and subsequently Managing Director and CEO of Petronet India Limited, a holding company in private sector. Unusually, while living my corporate life, I published over 20 research papers in prestigious journals. After my corporate stint, I was invited to be Professor in another hallowed institute of the country, Indian Institute of Technology, Kharagpur where I taught business management courses for more than five years before coming over to Goa Institute of Management in July 2016 as Senior Management. I head institutes Big Data Analytics program, and launched a post-graduation course this year, the first of its kind in the country. This professional life has been engaging enough but with the intension to contribute towards creating a just society, I have been making my intellectual contributions by way of writing and speaking in the public for more the past three decades. Through this process, I have written 26 books, which are published in India and abroad by prestigious publishing houses such as Zed books, Routledge, and Penguin Random House. Besides I have written hundreds of articles along with a regular column, ʹMargin Speakʹ in the prestigious Economic and Political Weekly. All my writings get regularly translated and published in most Indian languages and even abroad. Most of these articles are available on the net and all in public domain. I have delivered hundreds of lectures across India and abroad. I was twice invited by US universities for lecture tours. I have been doing this role of public intellectual for all these years, winning me several laurels, awards and honorary doctorates from universities. I have thus reputation as one of the outstanding scholars in my own field of management; as a professional, I have my reputation as CEO level corporate executive, as a writer, I have reputation of being one of the most sought after authors; as a public intellectual, I have reputation of being one of the most sought after person in the entire country. I have been an activist since my student days, as a student leader, and later as civil rights activist. In course of time, I got associated with many organizations, none of which advocate violence or do unlawful things. For instance, I am General Secretary, Committee for Protection of Democratic rights, Executive Member, Coordination of Democratic Rights Organizations, Presidium Member, Alol India Forum for rights to Education. Of course, in my role as a public intellectual, I have been critical of the policies of the government which I voiced in not a superficial way but with scholastic discipline. I am definitely critical of the present regime but unlike many others, fault the entire post-colonial construction of the state for its rise. As for insinuation of my connection with Bhima-Koregaon or Elgar Parishad, I happened to write a critique of the Bhima Koregaon episode published in The Wire [https://thewire.in/caste/myth-bhima-koregaon-reinforces-identities-seeks-transcend] incurring the wrath of many dalits all over the country. As regards Maoist, I had written books (for instance Anti-Imperialism and Annihilation of Caste, Introduction to Ambedkarʹs India and Communism, published by Left Word, and even Republic of Caste published by Navayana, criticizing their practice and reliance on violence. I, like many other people who have been targeted by people, was not even in the conference. With what stretch of imagination, could I have even been suspected to have connection with these things? The entire episode is based on a letter police produced, the authenticity of which is far from established. Many people have already expressed serious doubt about its veracity. And on this basis, the police are targeting summarily all intellectuals in the country. They are misusing the draconian law like UAPA to terrorize people into silence by targeting select intellectuals and activists. I urge the judiciary to take note of the monumental harassment and torture innocent persons like me is pushed to endure without any iota of wrongdoing on our part. I also urge the people of my country to judge for themselves from the foregoing whether I deserve the treatment that I made to meet. Students protest in support of Prof SatyanarayanaCondemning police searches in the house of revolutionary writer Varavara Raoʹs daughter Pavana and her husband, Professor Satyanarayana, who is a faculty member in The English and Foriegn Language University (EFLU), located near a century-old Osmania University, students of the EFLU called for boycott of classes on Wednesday. The events took place at Prof Satyanarayanaʹs residence on Tuesday, draw the attention of the country. It is 8:30 am, after sending their daughter to school, the couple about to leave house to perform their duties at their respective educational institutions, as many as 20 police personnal belongs to Maharashtra and Telangana barged in to their house. Dragged their mobile phones and started searches. Itʹs like house arrest situation to the Professor and his wife. By doing so the police personnal cut their contacts with outer world. As the news broken out, as many as 20 faculty members and 100 students of EFLU reached the house and staged sit-in protest on the road. They settled there till 7pm when police concluded their searches and leave the campus. The police even didnʹt allow their daughter in to the house during search operation. The agitators raised slogans against Telangana CM KCR and PM Narendra Modi. They organised a protest rally in the campus. Later addressed the media and condemned the searches. Those arrested included human rights lawyer from Nagpur Surendra Gadling, Dalit rights activist and journalist Sudhir Dhawale, former Prime Minister Rural Development fellow Mahesh Raut, Rona Wilson and Shoma Sen, associate professor from Nagpur University. // From 6 am onwards, the Maharasthra police raided and searched father Stan Swamy’s place in Ranchi. Through the search operations, they confiscated several items like computers, laptop, CDs, papers and books. He was also quizzed about some organisations in Maharasthtra. “You will not be able to silence any of us. You will not be able to crush us. by the fascist saffron regime of Modi. We the Indian Workers’ Association, Great Britain, condemn the raids on homes of nine human and democratic rights activists across India, on 28th August 2018. Amongst the people on whom the raids were conducted include Anand Teltumbde, Stan Swamy, Kranti Teluka and Prof K Satyanarayana. These raids also include Arun Ferreira, Sudha Bharadwaj, Varavara Rao, Gautam Navlakha and Vernon Gonsalves, all five are now under arrest charged, under one of the most draconian law the UAPA (Unlawful Activity Prevention Act). This is one of the most barbaric law, copied from the colonial law book, which allows an indefinite detention (arrest) of any citizen theGovernment suspects of having an intent to commit a crime against the State. There are many other such laws on the Indian statute, e.g. NSA under which Chandrashekar Azad Ravan, leader of the Bhim Army has been languishing in jail for over a year. These laws must be repealed; they have no place in a democracy. These raids and arrests follow on from the arbitrary arrests, a few months back, of Sudhir Dhawale, Adv Surendra Gadling, Prof Shoma Sen, Mahesh Raut and Rona Wilson. These five are lawyers, journalist, human rights activists who have been implicated in totally fabricated charges of organising the violence in Bhima Koregaon at the beginning of this year. The reality of that incident is being completely overlooked, by the law enforcement authorities, and no investigation is being conducted that leads to the trail of Hindutava instigated violence against the annual peaceful demonstration by the Dalits, marking the victory scored by Marathas against the Peshawar in 1818. • Condemn intimidation and arrests of human rights activists and intellectuals by the Indian State! • Defeat the Manivadi Hindutva fascist rule of the BJP & RSS! • Build unity amongst Adivasis, Dalits and religious minorities and struggles for their rights! Dr. V. Suresh, National General Secretary, PUCL. 5. Vara Vara Rao, noted poet and rights activist. 6. Kranti Tekula of Virasam, Hyderabad. · Arun Ferreira, Vernon Gonsalves and Susan Abraham, Advocates in Mumbai. PUCL stands firmly in solidarity with advocate Sudha Bharadwaj, National Secretary, PUCL and the other human rights activists who face raids and have been arrested under false and fabricated charges. We would like to point out that in a Habeas Corpus petition filed before the Delhi High Court, his transfer on transit warrant to Pune has been stayed pending further hearing of the habeas corpus petition tomorrow 29th August, and he is currently under house arrest. As per sources, Anand Teltumbde’s house in Goa was raided by the police in a completely illegal manner, in his absence, after procuring keys from the security guard. While some news channels state that the raids and arrest have been made in the Pune case of Bhima Koregaon caste violence, where the prime accused are Hindutva right wing groups and leaders who are enjoying state impunity and at large, some other news agencies are alleging that the arrests are linked to claims of alleged plot to assassinate Prime Minister Narendra Modi and Chief Minister Devendra Fadnavis. It is pertinent to note that just last month on 4th July 2018, a scurrilous, motivated, fabricated and malicious media propaganda and hate campaign was run by Republic TV and its anchor Ms. Shivani Gupta, Deputy Editor Mr. Shrawan Sen and its Managing Director, Mr. Arnab Goswami, by way of a series of programmes presented as “Super Exclusive Breaking News” and also showcased by way of a national debate on Prime Time TV. Relying on a fabricated letter allegedly addressed by her to a Maoist named ‘Comrade Prakash’, the channel repeatedly aired, completely false, unsubstantiated and scurrilous accusations against Advocate Sudha Bharadwaj, falsely profiling her as “Urban Naxal”. The allegations were categorically denied by Advocate Sudha Bharadwaj in her rebuttal statement. The programmes were aired with headers of“#UrbanNaxalsExposed” and similar allegations were made against other human rights activists like Mr. Gautam Navlakha in part 2 of the programme, via a second letter supposedly procured by the Channel. PUCL has previously issued a statement dated 7th July 2018 strongly condemning the incident and demanding strict action against the Channel. Advocate Sudha Bharadwaj also issued a legal notice in respect of the Channel’s illegal acts. The current arrest and raids are taking place in the backdrop of the arrests of five human rights activists – Advocate Surendra Gadling, Professor Shoma Sen, Rona Wilson, Mahesh Raut and Sudhir Dhawale – who were also arrested under UAPA on 6th June 2018, relying on a similar fabricated letter produced by Republic TV allegedly addressed to the same “Comrade Prakash”, in the same Pune case. Following this, on 7th June 2018, Advocate Sudha Bharadwaj had addressed a press conference organized by the Indian Association of People’s Lawyers (IAPL) in New Delhi to condemn the arrest of Advocate Surendra Gadling of the Nagpur High Court. Susan Abraham, Arun Ferreira and Vernon Gonsalves are in fact representing the Bhima Koregaon accused in Court. Advocate Sudha Bharadwaj has been a dedicated trade unionist for more than three decades and has served as a general secretary of its Chhattisgarh branch, during which time the branch did remarkable work in the State. She is also associated with the Chhattisgarh Mukti Morcha, which was founded by the late Shankar Guha Niyogi. She started her legal practice in the year 2000 and has since, fought innumerable cases of workers, farmers, adivasis and poor people in the fields of labour, land acquisition, forest rights and environmental rights. Since the year 2007, she has been practicing in the High Court of Chhattisgarh at Bilaspur and was nominated by the High Court to be a member of the Chhattisgarh State Legal Services Authority. She also supported young lawyers to set up the Jagdalpur Legal Aid group as a civil society initiative to provide legal aid to incarcerated Tribals. She is a visiting faculty at the National Law University Delhi, where she teaches the course on tribal rights and land acquisition. PUCL believes that the intention of the state and police in targeting the aforesaid human rights activists by foisting false and fabricated cases against them, is clear and apparent from their profiles of work. All the aforesaid human rights activists targeted in this multi-city “operation” by the police have been tirelessly involved in advocating the cause and fighting for the rights of the most poor, marginalized sections of society against serious state violations and unscrupulous corporates. They have stood for the principles of human rights enshrined in the Indian Constitution and the international standards on human rights. PUCL strongly condemns the actions of the state and police. This simultaneous crackdown against human rights activists across the country signals the imposition of an unofficial Emergency in our nation and is a direct attack on Indian democracy. This is a deliberate strategy of the state to target noted human rights activists in a clear act of reprisals against them for calling out the human rights violations by the state and police, and to intimidate those who are fighting for justice. PUCL cautions the public at large on the concerted efforts underway to stifle voices of dissent and threaten the democratic fabric of the country. 4. PUCL further condemns the constant profiling as “Urban Naxals/ Maoists” and criminalisation of human rights activists working tirelessly against the state’s anti-people actions and policies, in an attempt to malign them and influence public sentiment. Mayur Vihar – I, Delhi 110091, India. Writer and activist Arundhati Roy on Tuesday reacted to the news of police raids at the homes of human rights activists in multiple cities across the country. “It is as close to a declaration of an Emergency as we will ever get,” the Booker-prize winning author said. Some of these activists have been detained by police. The raids are said to be connected to investigations into a public meeting organised days before caste-related violence erupted at Bhima Koregaon near Pune on January 1. Reacting to these raids and detentions, Roy said that anybody who speaks up for justice or against Hindu majoritarianism is being made into a criminal. “That the raids are taking place on the homes of lawyers, poets, writers, Dalit rights activists and intellectuals – instead of on those who make up lynch mobs and murder people in broad daylight tells us very clearly where India is headed,” she added. Support our journalism by subscribing to Scroll+ here. We welcome your comments atletters@scroll.in. The protest programme at Parliament Street in Delhi by Campaign Against State Repression on Rights Activists saw the participation of over four thousand people from Delhi, Punjab, Haryana, Uttar Pradesh, Andhra Pradesh, Telangana, West Bengal, Jharkhand, Tamil Nadu and all other parts of the country. The programme was presided by Professor G Haragopal. Justice BG Kolse Patil, D Raja, Manorajan Mohanty, Arundhati Roy, Dharamvir Gandhi, S Vanchinathan and others addressed the gathering. The programme began with cultural performances from Praja Kala Mandali from Andhra and Telangana, and cultural organisations from Punjab and Haryana. Setting the stage for the programme, Prof. Haragopal laid out the purpose of the programme and welcomed the gathering. Advocate S Vanchinathan, the lawyer who was fighting for the release of residents of Thoothkudi who subsequently found himself jailed under draconian and colonial laws like the Goondas Act, spoke of the struggles of the people of Tamil Nadu. He reminded the gathering that the struggle against Sterlite in Thoothkudi has strong similarities with the struggle of Maruti Suzuki workers in Haryana. In both cases, the government in power did everything in its capacity to protect the interests of the corporations over the people of this country. He said, the TN police under the instructions of Sterlite-Vedanta Company imposed a ban on internet, created a condition of fear and ordered the firing on the people of Thoothkudi. After the targeted shooting of TN Commandos was released, the BJP government along with the Intelligence Bureau started claiming that the protests were a Naxalite conspiracy. He stated that the current government, the BJP, is doing everything in its power to invent enemies to justify its actions. Justice BG Kolse Patil reminded us that we must remember that we have evidence of the crimes of former CM of Gujarat Narendra Modi and Amit Shah in light of the 2002 Gujarat massacre of Muslims. Justice Patil said, two classes of people exist in India – the struggling people of the country and the parasitic class who live on the labour of the struggling masses. The people who neither believe in democracy nor the Constitution are sitting in Parliament today and what we face today is an unprecedented case of an undeclared Emergency. He warned against the Brahmanical nature of the state that is crippling all the democratic institutions, including the education system, by negating the collective intelligence of the country. This, he felt, is something we should strongly oppose while we strive for a world without repression. Dharamvir Gandhi, independent MP in Rajya Sabha, remarked that the struggle for the rights of dalits, adivasis, Muslims and all marginalised communities need to be fought both inside the Parliament and outside it. And, he reiterated the need for all democratic forces across the country to fight against state repression and fascism expanding all over the country. Writer Arundhati Roy spoke of the breaking of two locks in the early 90s, the locks of Babri Masjid and the end to the restraints on exploitative global capital. She felt that we need to understand both capitalism and casteism in order to understand the nature of the state as both work hand in hand. The arrests of Prof. GN Saibaba, Rona Wilson and Advocate Surendra Gadling reveals that anyone amongst us could be arrested next by this exceedingly vindictive state; a state that is ready to let the country burn in order to retain control in the 2019 elections. She called the BJP the Bharat Jalao Party that spreads the politics of hatred and urged everyone to unite in the face of this hatred. Kavita Srivastava of PUCL raised the threat to all democratic institutions and activists in the lead up to the 2019 elections. As democratic state institutions collapse under the weight, journalists are constantly threatened by the police, and activists thrown behind bars under UAPA and other draconian laws. She asked for the repeal of UAPA, a draconian law which has progressively been made more draconian through amendments in 2008 and 2012. Vinay Ratan Singh from the Bhim Army spoke of the continued incarceration of Chandrasekhar for challenging caste oppression. The government has set the silence of the Bhim Army against atrocities and caste-based oppression as the price for Chandrasekarʹs release. On 2 April 2018, those protesting against the government were killed, arrested, and their families continue to struggle, without food. Bhim army will continue to raise their voice against caste oppression, through education, of this and the next generation. D Raja, member of Parliament, reminded the people that the constitution was enshrined to protect the people of the country but instead, under the current regime, it is being dismantled and abused and most importantly subverted to serve the ends of those in power. He challenged the BJP and the Sangh Parivar about the history of this country particularly highlighting their history in being hand in glove with the colonial state. He called the effort to build a Hindu Rashtra an attempt to establish fascism and destroy democracy. He condemned state repression, be it in the form of name-calling to outright violence, on the people fighting to save democracy in the country. Baby Turi from Visthapan Virodhi Jan Vikas Andolan, Jharkhand, challenged the continuing persecution, false arrests and cases against adivasis involved in Pathalgarhi, challenging the escalated grab of land and forests. She demanded the repeal of UAPA. Prashant Bhushan also shed light on the trend of arresting those who are facing repression, such as Muslims, Christians, Dalits, Adivasis, and those raising their voices against the repression, while the perpetrators of violence and atrocities are not even investigated. This he found was visible in the case of Stan Swamy and 10 other activists being charged with sedition in Jharkhand. Surendra Gadling, representing GN Saibaba in the false case under UAPA, is arrested under UAPA. In Thoothkudi, those protesting against Sterlite are shot and killed, those leading the movement arrested. The BJP government is looting the country, while their promises of bringing a strong Lokpal, targeting black money and corruption, are all forgotten. Vijay Mallya, Mehul Choksi and Nirav Modi are allowed to flee the country under Modiʹs watch. The attack on the people of this country as visible in Assam with the NRC is another effort by the current government to establish a Hindu state favourable to its ends. Prof. Manoranjan Mohanty reminded all that while oppressed groups have been fighting injustice but there are two new dimensions to the current regime: one, relentless repression by army and paramilitary forces, and two, mob lynchings. This is done in the name of ʹnational securityʹ. This national security is nothing but security for corporate and capital. We are fighting for the security of peoples. During the Emergency, we fought for civil liberties and democratic rights, but those are not sufficient anymore. The fight needs to be strengthened through unity. Rinchin from WSS also brought to the fore the two issues of repression on women and the loot of land. She found that capitalism and patriarchy stood firmly on the ground established by a repressive state, a state that runs roughshod over the constitutional rights of adivasis as in the case of the Pathalgadi movement in Jharkhand and the assaults on women by CRPF in Bastar. She reminded that someone like Mahesh Raut who had been working for the rights of gram sabhas as enshrined in the constitution in Gadchiroli has been incarcerated and declared anti-national. She asked where are the voices of the women who have been raped, and then forcefully held under the custody by the state. She asked the gathering to resolve to fight against both capitalist loot and the patriarchal system that exists to crush the people of the country. Sujato Bhadra spoke of the Bhangar movement and the effort to crush it as indicative of the various forms of repression visible in the country today. Rajeev Yadav of Rihai Manch said that these arrests are a warning to the people that anyone who will speak will be jailed and todayʹs protest is an indication that people will not be threatened this way. Aparna of IFTU spoke about the banning of trade unions like MSS in Jharkhand and how the state is afraid of workers organisations that are reminding the people about the struggles of workers all the way from the Russian revolution to now. The struggle for Podu land in Telangana where the government is running JCBs on land of the people and filing cases against those speaking against it is indicative of the anti-people nature of the government. She said that we must remember that two people from amongst us, Professor GN Saibaba and Rona Wilson, are now behind bars for speaking against the loot of land and for the release of political prisoners while right wing perpetrators of violence like Milind Ekbote and Sambhaji Bhide roam free. Buta Singh of Association for Democratic Rights talked about party controlled media trial that is on–going all over the country. Sawarnjit Singh, Tapas Chakrabarty, Prof. Laxman and Kranti Chaitanya all spoke of the need to unite in the face of repression. Parvez Ahmad spoke of how today is a gathering of people of all shades but what is common is our struggle against fascism and how people like Gauri Lankesh, Gadling and Chandrasekhar and all spoke about justice and now they are silenced. All participants reiterated the need to fight against the murder of constitutional rights and the need to unite and fight against all forms of state repression. The programme culminated with revolutionary songs in various languages by groups from all over the country. Kobad health alarm in jail!- ICSPWI invites to mobilitation! Maoist ideologue Kobad Ghandy, lodged in a Jharkhand prison and facing trial for a 2007 rebel attack, has said his health has worsened because jail authorities have not acted on doctors’ advice to send him to capital Ranchi for treatment. The 71-year-old was shifted from Bokaro’s Tenughat sub-divisional jail to Loknayak Jaiprakash Narayan Central Jail in Hazaribagh in March. “The latest urine/blood report for the prostrate/urinary (July 3, 2018) tract shows a serious deterioration in the condition,” Ghandy has said in a July 7 letter to human rights activist and JNU professor Moushumi Basu. Ghandy, held in various jails across the country since his arrest in Delhi in 2009, suffers from hypertension, arthritis and a slipped disc, and was treated for prostate cancer. 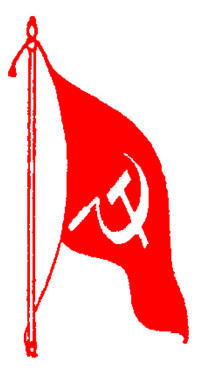 He is alleged to have been associated with the CPIML People’s War, which merged with the Maoist Communist Centre to form the CPI Maoist in 2004. The charges of association with the banned Maoist party and involvement in acts of terror have not been established although Ghandy was convicted of cheating, forgery and impersonation in 2016. In his letter, Ghandy says that a doctor who examined him at Tenughat referred him to the Rajendra Institute of Medical Sciences, Ranchi, on February 9 and March 15 but he is yet to be sent there. “After coming to Hazaribagh Central Jail, the condition has seriously deteriorated. Over a month back the doctor instructed to do a urine culture and blood tests. But this was ignored,” he has written. Hazaribagh jail superintendent Hamid Akhtar told this newspaper that the prison’s 110-bed hospital ward conducts pathology tests and has an outpatient department. “It has not yet been brought to my knowledge that he needs treatment outside. The jail hospital treats people but we don’t have facilities for conducting surgeries,” he said. Ghandy studied at Doon School, Dehradun, and St Xavier’s College in hometown Mumbai before leaving for London to study chartered accountancy. He is suspected to have come under the influence of the far Left there. His wife Anuradha Shanbag, who died of malaria in the forests bordering Maharashtra, Chhattisgarh and Telangana in 2008, was a central committee member of the CPI Maoist.